Drum up learning fun! 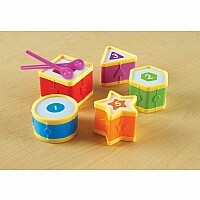 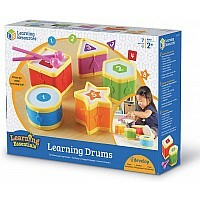 Vibrant, interactive drum set teaches color, number, and shape recognition while building gross motor skills. 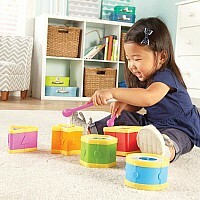 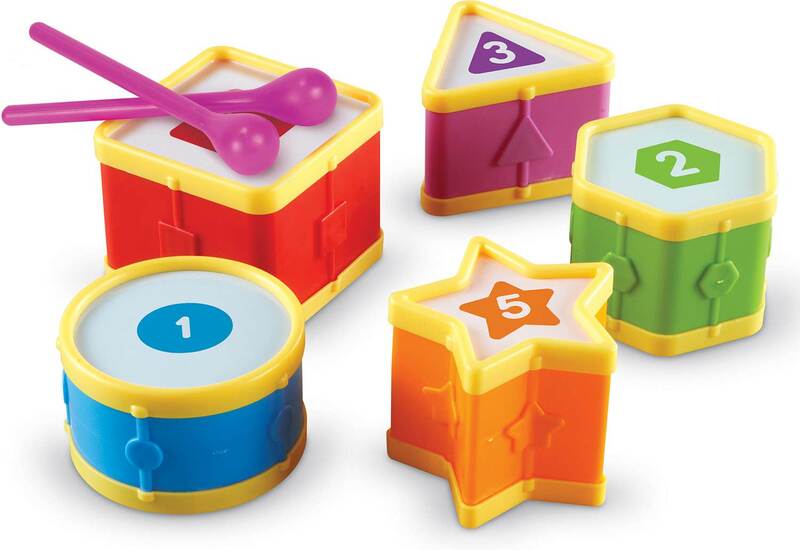 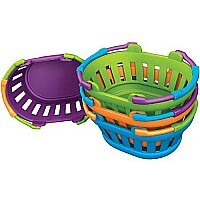 Each of the 5 drums features its own color, shape, and number (1-5) for engaging and entertaining toddler play. 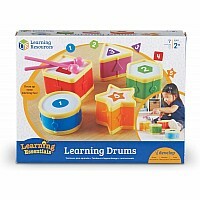 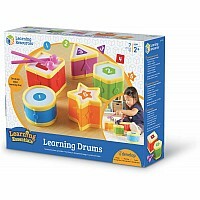 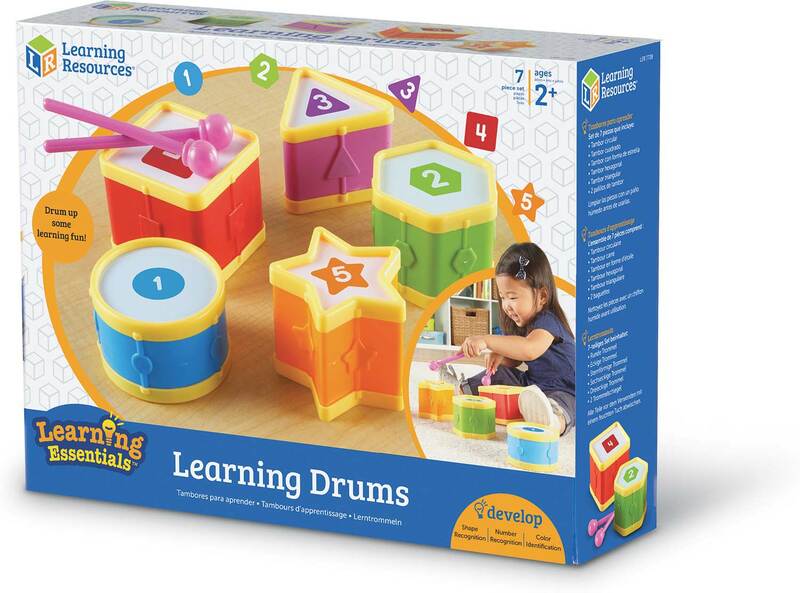 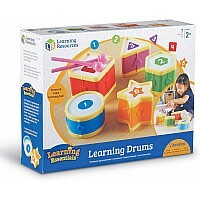 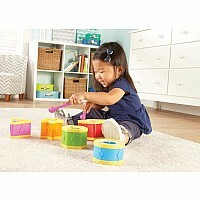 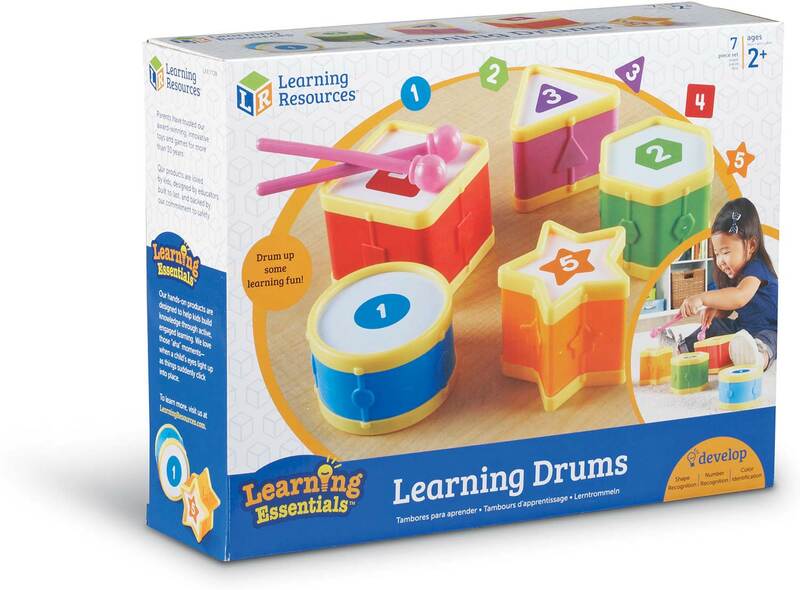 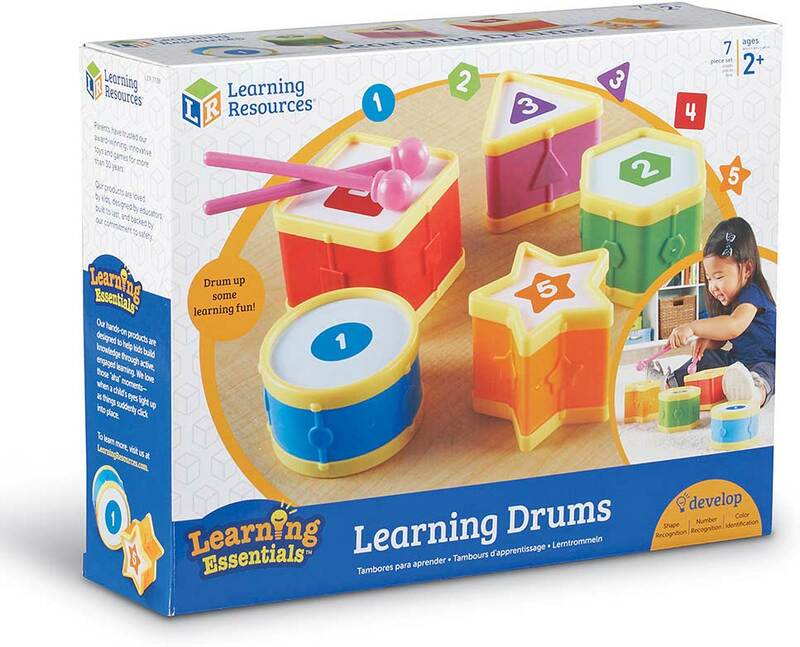 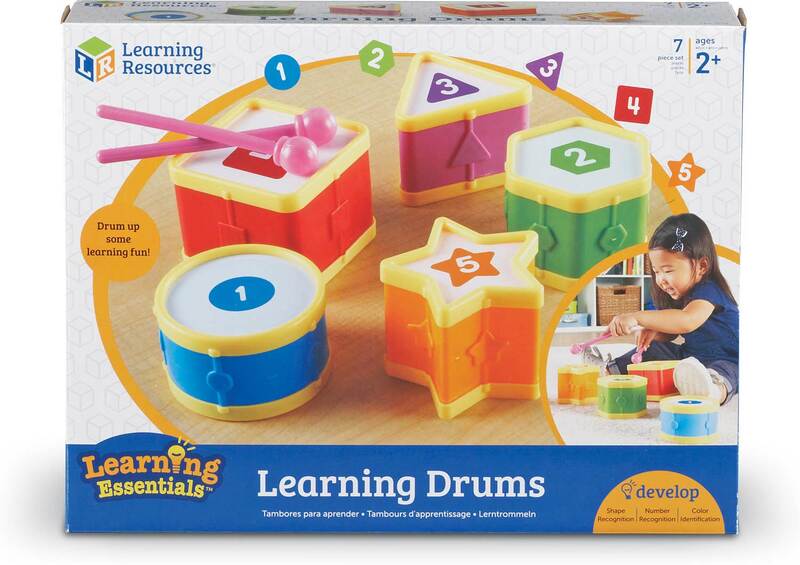 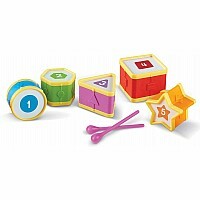 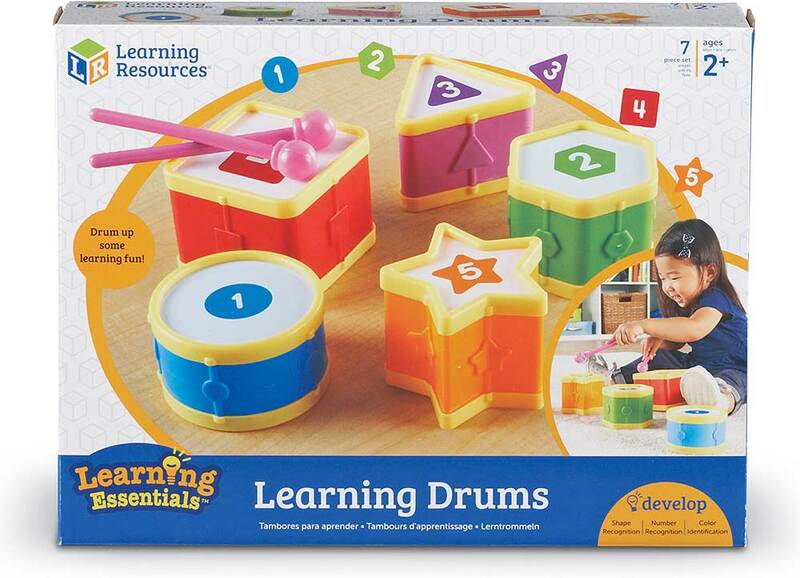 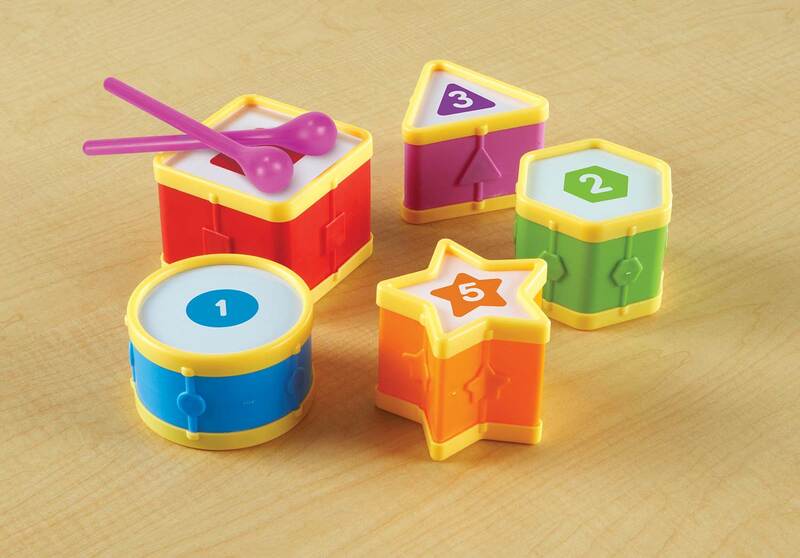 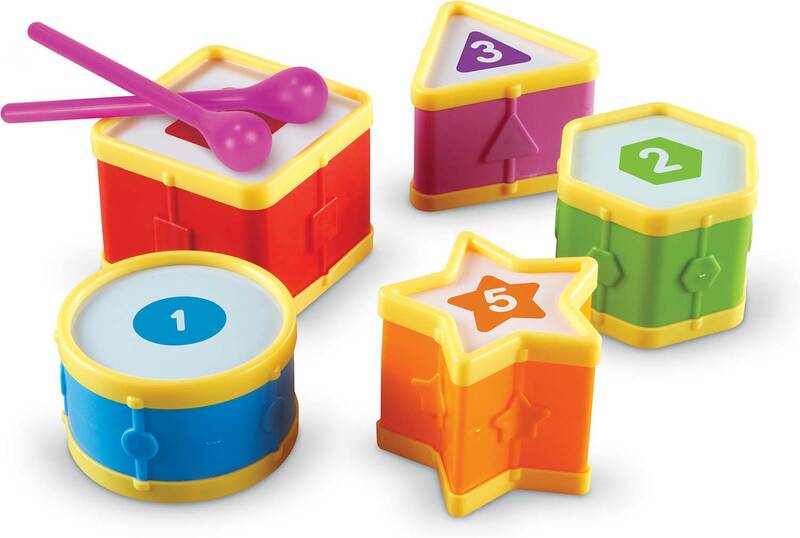 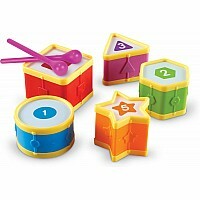 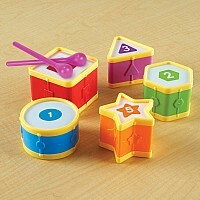 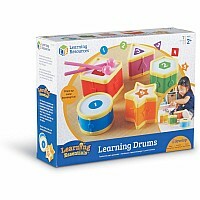 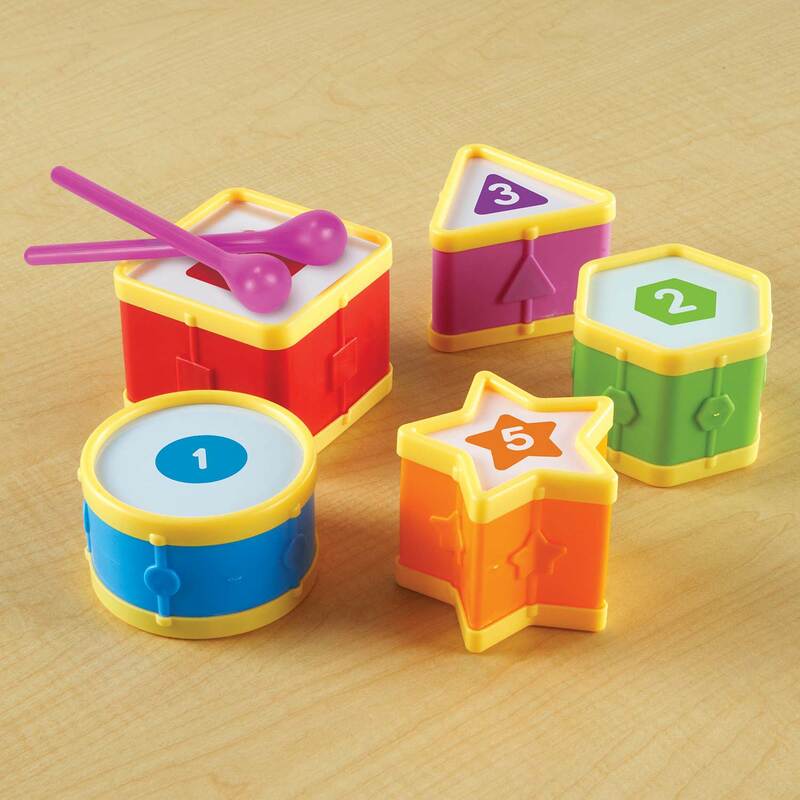 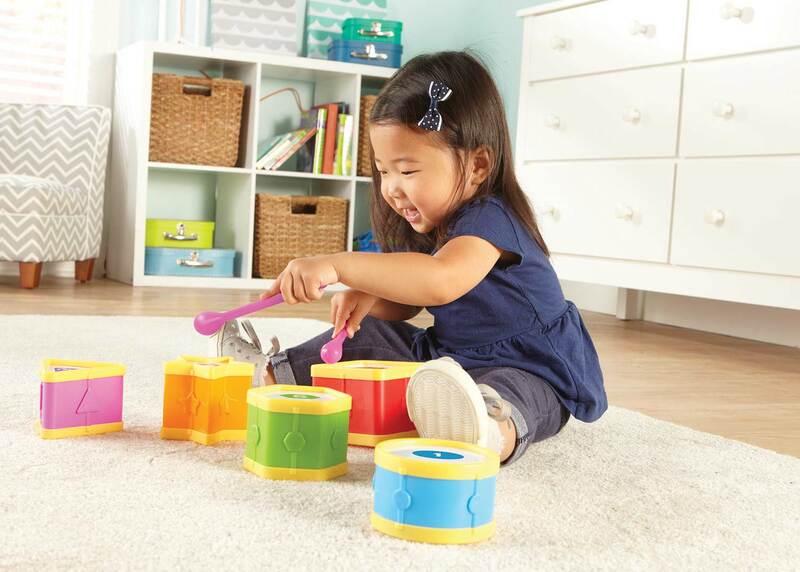 Start learning essential early skills at your own beat with this durable, high-quality set. 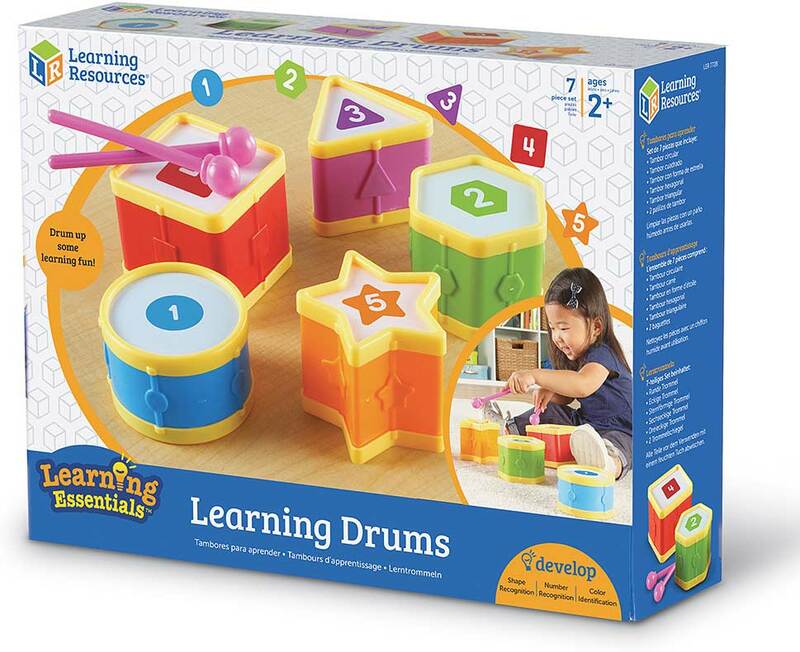 Includes 2 one-piece drumsticks. Drums measure 4'W.